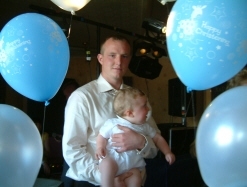 Jackson Turton is the first son of Stephen Turton and Susan Davis of Hartlepool, England and the 4th great grandson of Mary Tinneny of Goladuff. 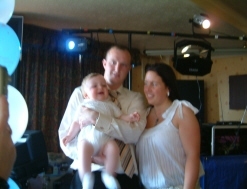 Jackson was christened at St James' Church in Hartlepool on June 11, 2007. 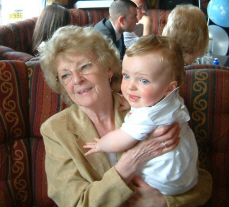 Great-grandmother Mary Patricia Murray Englishby and Jackson enjoying a quiet moment at the celebrations. 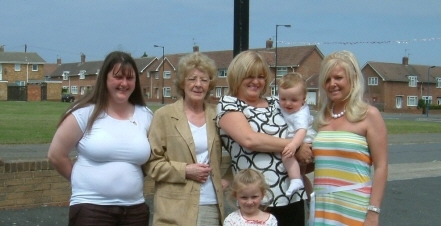 Four Generations of Tinneny Decendents - Mary Murray Englishby with her 2 daughters Kathleen (on her left) with Jackson, Sheila (far right), grandaughter Paula (left) and her great-grandaughter Nichol (bottom).